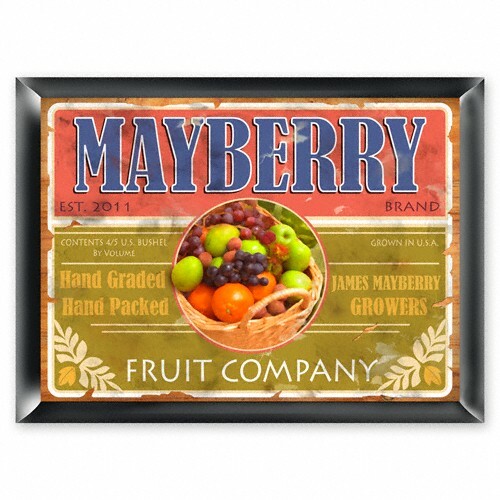 This personalized old-fashioned Fruit Company Sign is the perfect addition to your home. Suitable for a variety of decors, its vibrant colors will add a hint of brightness to your walls. Also appropriate for the den, bar area, or anywhere in your home or office that needs a special touch. Measures 9" x 12". Personalized with first name, last name and year established.